Originally intended as a replacement for serial and parallel connections on a PC to connect mice, keyboards and printers. Universal Serial Bus has grown to become a common interface in many embedded industrial, medical, automotive, and consumer applications. 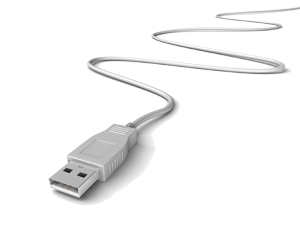 Microchip’s USB solutions are designed to support the growing needs of these markets with a full complement of robust, highly integrated USB Microcontrollers, and external controllers. The Microchip USB portfolio is now expanded to include High Speed and Super Speed USB Hubs along with standalone USB Transceivers, Switches and Bridges to Flash Media and Graphics. Also included is a family of products that provide high-speed battery charging capability supporting the new USB IF specifications. In short, these new USB certified products bring Assured USB Interoperability for your embedded designs. What is the fastest way to upgrade a serial port application to USB? What is the most reliable way for USB device to detect if host is connected? Does Microchip sub-license Vendor IDs and Product IDs? What should be done with USB pins if the module is not used?